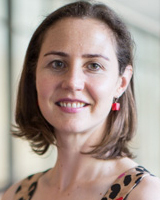 Dr Honni van Rijswijk is a graduate of Sydney Law School and received her PhD from the University of Washington, where she was a Fellow in the Society of Scholars at the Simpson Center for the Humanities. Her research is interdisciplinary, and she writes primarily at the intersections of law, literature and critical theory. She has published on feminist theories of harm, formulations of responsibility in law and literature, the role of history in the common law, and on questions of justice relating to the Stolen Generations. Honni also has a wider background in the law of obligations, both through her LL.M. work at Trinity College Dublin, and through her work in private practice. Honni has taught at a number of universities in Australia and the United States and currently teaches Torts, International Commercial Transactions, and Law and Literature. Motha, S & Rijswijk, HV 2016, Law, Memory, Violence Uncovering the Counter-Archive. Complicity is emerging as a key cultural and critical term for understanding settler responsibility in postcolonial contexts – especially in thinking through the sense of responsibility arrived at through transitional justice processes. But what sense can we make of complicity within more pedestrian legal processes? Here, I examine an emergent narrative of complicity in 'everyday law' through the framework of evaluating harms provided by the Royal Commission into Institutional Reponses to Child Sexual Abuse ('the Commission'). I analyze one case study in particular – the 19th public hearing of the Commission was held between October 22 and 31, 2014, and on November 14, 2014 ('the Bethcar Case Study') – to provide a reading of complicity in the context of everyday legal proceedings that took place within the wider context of Australia's postcolonial reckoning of harms suffered by the Stolen Generations. This article focuses on the role and conduct of lawyers, and of law, in the civil proceedings relating to institutional responsibility for abuse, a process at a seeming distance from the scene of original trauma. I argue that the Commission makes available a narrative of the lawyers' role in the ongoing violence against survivors – one story and case study that, as it concerns abuse in the context of the removal of Aboriginal children, is part of wider structural violence against Aboriginal people. The Commission provides a rich source for analyzing these legal processes and provides an archive of lawyers' responsibility that is not normally made available through law. It examines the complicity of the legal profession in harms produced by the legal system itself. This article deploys a collective biographical methodology as a political and epistemological intervention in order to explore the emotional and affective politics of academic work for women in neoliberal universities. The managerial practices of contemporary universities tend to elevate disembodied reason over emotion; to repress, commodify, or co-opt emotional and affective labor; to increase individualization and competition among academic workers; and to disregard the relational work that the article suggests is essential for well-being at work. The apparent marginalization of feminist and feminine ways of being, thinking, and feeling in academia is examined through close readings of three narrative vignettes, which are based on memories of the everyday academic spaces of meetings, workshops, and mentoring. These stories explore moments of the breaking of ties among women and between men and women, as well as document how feminist relationalities can bind and exclude. The article suggests that academic ties are both part of the problem and the solution to countering neoliberal policies, and that academic relationships, especially with other women, are often experienced as unrealized spaces of hope. Building on feminist scholarship about race and diversity, the article reflects on how relational practices like collective biography create both inclusions and exclusions. Nevertheless, it suggests that the methodology of collective biography might engender more sustainable and ethical ways of being in academic workplaces because it provides the resources to begin to create a new collective imaginary of academia. © The Author(s) 2012 School bullying has been recognized only relatively recently by policy-makers, media and the courts as a serious and widespread social problem. But despite this recent notice, there has been no evidence that techniques adopted to stop bullying have led to anything more than modest success, implying that we need to do more work to unpack and theorize the nature of bullying. In this article, we consider a recent vampire narrative as a story about bullying. We offer an interpretation of this story via the theories of Claudia Card and Jacques Derrida, arguing that together this archive provides a more nuanced understanding of the kinds of damage inflicted by bullying than has been provided by realist or sociological accounts. In particular, it illuminates damage to the morality of the victim, to their soul, which is a kind of damage that has previously not been given great attention. It also highlights the ways in which practices of judgment can become very tangled when trying to resolve bullying situations, making these experiences resistant to the achievement of justice. School bullying has been recognized only relatively recently by policy-makers, media and the courts as a serious and widespread social problem. But despite this recent notice, there has been no evidence that techniques adopted to stop bullying have led to anything more than modest success, implying that we need to do more work to unpack and theorize the nature of bullying. In this article, we consider a recent vampire narrative as a story about bullying. We offer an interpretation of this story via the theories of Claudia Card and Jacques Derrida, arguing that together this archive provides a more nuanced understanding of the kinds of damage inflicted by bullying than has been provided by realist or sociological accounts. In particular, it illuminates damage to the morality of the victim, to their soul, which is a kind of damage that has previously not been given great attention. It also highlights the ways in which practices of judgment can become very tangled when trying to resolve bullying situations, making these experiences resistant to the achievement of justice. 2012 marks the 80th anniversary of Donoghue v Stevenson, a case that is frequently cited as the starting-point for a genealogy of negligence. This genealogy starts with the figure of the neighbour, from which, as Jane Stapleton eloquently describes, a "golden thread" of vulnerability runs into the present (Stapleton 2004, 135). This essay examines the harms made visible and invisible through the neighbour figure, and compares the law's framework to Virginia Woolf's subtle re-imagining and theorisation of responsibility in her novel Mrs. Dalloway (1925). I argue that Woolf critiques and supplements the law's representations of suffering. Woolf was interested in interpreting harms using a framework of neighbourly responsibility, but was also critical of the kinds of proximities recognised by society. Woolf made new harms visible within a framework of proximity: in this way, we might think of Woolf's work as theorizing a feminist aesthetic of justice, and as providing an alternate genealogy of responsibility to Donoghue v Stevenson. Aesthetic considerations are bound up with thematic questions of justice, and an interdisciplinary engagement between law and culture offers methodologies through which to interrogate and reframe legal understandings of harm. While there is no particular form that can, a priori, be designated feminist, we can talk meaningfully about practices of representation, and methodologies, as being feminist or otherwise. This essay seeks to re-animate questions concerning the relationship between feminisms and representation, asking what it might mean to talk about a legal, feminist aesthetic: what are the terms of evaluation that seem relevant in judging representation as feminist or otherwise? What are the stakes of such an enquiry? These methodological questions will be considered with respect to a specific archive - first, a legal archive comprising recent feminist engagements with international criminal and human rights law dealing with sexual violence in conflict zones; and second, a cultural text, Sarah Kane's play Blasted (1995). This essay engages with and extends feminist commentary regarding the legal interventions, explicating the benefits of a law and culture approach to ongoing questions in feminist theories and practice. It provides an example of the ways in which a cultural text can illuminate problematic practices of representation that have developed in the law and critical commentary, and which seem natural or even unmoveable. The practice of re-seeing made available through engagement with this cultural text is, it is argued, a practice of justice. Trauma studies has had a long relationship with legal studies. Shoshana Felman argues that 'trauma - individual as well as social - is the basic underlying reality of the law' (2002: 172). The law has made available certain forms for the representation and adjudication of traumatic experience. Among others, testimony and the trial are legal forms that offer the potential for justice for traumatic events, at the same time that they delimit the ways in which trauma can be understood (Felman 2002; Sarat et al 2007). The means by which trauma is represented determines which experiences are privileged and recognized - which also means that some harms will become invisible under certain frameworks. Scholars working at the intersection of law and trauma have often turned to literature to supplement the law's version of justice. van Rijswijk, HM 2011, 'Memory, Imagination, Justice: Intersections of Law and Literature', Current Issues in Criminal Justice, vol. 22, no. 3, pp. 511-513. In Donoghue v Stevenson,1 the House of Lords established negligence as an independent tort and reformulated the responsibility owed by one person to another in civil society. The accident of Mabel Hannah finding a snail in her ginger beer became the occasion for the law to disrupt the (then) normal practices of manufacture specifically, and socioeconomic conditions more generally, by introducing attentiveness to vulnerability as a civil ethic. This essay looks back at the case and reads it in its cultural and material contextswith the intention of illuminating Lord Atkins neighbour principle within its specific historical framework, and to look again at the justice Mabel Hannah received through the decision. This reading will examine the gap between law and social justice, and re-contextualise the potential of tort law to operate as a kind of civil ethics or system of moral value. In this reading I consider the inflections of the neighbour figure, reading the cases Biblical `Golden Rule alongside the anti-ethics of Nietzsche and Freud. I also consider the ongoing paradox of the neighbour as a figure for the recognition of suffering. In Australia, law's imaginary is part of our colonial legacy. Law's narratives and figures, as well as what we might more widely think of as its practices of representation, produce social, economic and political realities. The imaginary is therefore an important domain of intervention for social justice, which must be interrogated and challenged. Such interrogation can be thought of as a 'literary jurisprudence', which involves taking up exemplary practices of representation that model ways alternative ways of thinking about relations between Aboriginal and Western laws. This means thinking beyond the abstractions of legal analytic categories to include affect, experience and culture, providing a method that can resist and re-situate Western law's continuing claims to authority over Aboriginal people. In this chapter, by way of an example of these practices, I provide a reading of harm and authority in the latest novel by Alexis Wright, a leading Australian novelist. I argue that what is needed, and what this reading provides, is a literary jurisprudence that challenges law's imaginary. van Rijswijk, HM 2017, ''Cultural Representations of Torture" in Oxford research encyclopedia criminology'. The demand for recognition, responsibility, and reparations is regularly invoked in the wake of colonialism, genocide, and mass violence: there can be no victims without recognition, no perpetrators without responsibility, and no justice without reparations. Or so it seems from law's limited repertoire for assembling the archive after 'the disaster'. Archival and memorial practices are central to contexts where transitional justice, addressing historical wrongs, or reparations are at stake. The archive serves as a repository or 'storehouse' of what needs to be gathered and recognised so that it can be left behind in order to inaugurate the future. The archive manifests law's authority and its troubled conscience. It is an indispensable part of the liberal legal response to biopolitical violence. This collection challenges established approaches to transitional justice by opening up new dialogues about the problem of assembling law's archive. The volume presents research drawn from multiple jurisdictions that address the following questions. What resists being archived? What spaces and practices of memory - conscious and unconscious - undo legal and sovereign alibis and confessions? And what narrative forms expose the limits of responsibility, recognition, and reparations? By treating the law as an 'archive', this book traces the failure of universalised categories such as 'perpetrator', 'victim', 'responsibility', and 'innocence,' posited by the liberal legal state. It thereby uncovers law's counter-archive as a challenge to established forms of representing and responding to violence. van Rijswijk, HM 2016, 'Interventions into the feeling of popular justice Australia's Stolen Generations, the problem of sentimentality, and re-encountering the testimonial form.' in Sharp, C & Leiboff, M (eds), Cultural Legal Studies Law's Popular Cultures and the Metamorphosis of Law, Routledge, Abingdon, pp. 71-94. This collection explores such a question through the lens of the cultural legal studies movement, which proffers a new encounter with the cultural turn in law and legal theory. van Rijswijk, HM 2015, 'Law and Violence' in Law and Popular Culture in Australia, LexisNexis Butterworths, Chatswood, NSW, Australia. van rijswijk, H & Townsley, L 2014, 'R v Webster  NSWSC 70012/90: Judgment' in Douglas, H, Bartlett, F, Luker, T & Hunter, R (eds), Australian Feminist Judgments: Writing and Rewriting Law, Hart Publishing, Oxford & Portland, pp. 316-324. There is a strange English case, one that is also a quintessentially modernist text, which all students of the common law are taught. In this case, Donoghue v Stevenson  AC 562, the House of Lords reformulated the responsibility owed by one person to another in civil society, (despite its legal importance, it is irreverently known as "the-snailin- the-bottle case"). The case has had a hold on the imagination of lawyers ever since it was heard in 1932; but as to why this case matters so much to lawyers, and why it should also matter to modernists, I need to start by telling a story. Like all good stories, this one starts with a journey-Mrs May Donoghue's tram trip from her tenement in the heart of Glasgow to the Welhneadow Cafe in Paisley. van Rijswijk, HM 2012, 'The Aesthetics of the Continuing Past: Responsibility for Historical Suffering in National Law and Literature', Law, Culture and the Humanities, 15th Annual Conference of the Association for the Study of Law, Culture, and the Humanities, Law, Culture and the Humanities Association, Texas Wesleyan University School of Law, USA. van Rijswijk, HM 2012, 'The Aesthetics of the Continuing Past, and the Ceremony of Adjudicating Historical Suffering', Ceremonies of Law, Ceremonies of Law Conference, Law, Literature and Humanities Assocation of Australia, Wollongong, Australia. van Rijswijk, HM & Crofts, P 2012, '"Negotiating the Relationship between Law and Violence: the vampire as a figure of ambivalent justice"', Socio-Legal Studies Association (UK), Socio-Legal Studies Association Conference 2011, Socio-Legal Studies Association (UK), Brighton, UK. van Rijswijk, HM 2010, 'Multiple Narratives of History, Suffering and Responsibility in the Trevorrow Cases', Critical Legal Conference, Critical Legal Conference Utrecht 2010, Critical Legal Assocation, Utrecht, the Netherlands.